Let's Make Adoption an Option! Women Have the Right to Know More. I'm on my way back from Indiana right now from our successful Indiana Premiere of I Lived on Parker Avenue . We then head to Tennessee tomorrow, where the film is featured in the Christian Worldview Film Fest. Please keep our travel in your prayers, and if you haven't watched the film , please do so! Our Legislature is in session! As you see below, our main goal this session is to expand adoption awareness, especially at abortion facilities. We are also supporting bills to tweak current laws stuck in federal court. Hopefully, these changes can lead to laws from past years going into effect sooner rather than later. We look forward to defending life at the Capitol on your behalf! P.S. 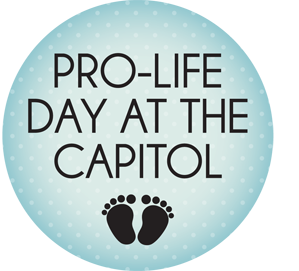 Join us April 4 for Pro-Life Day at the Capitol! Louisiana Right to Life is sponsoring the "Adoption Option Act" in the Louisiana Legislature this spring following the release of the documentary I Lived on Parker Avenue. HB 449 is authored by Rep. Rick Edmonds. 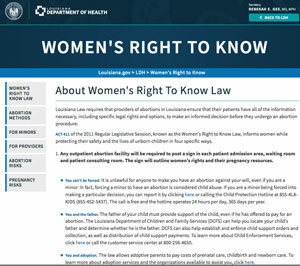 It's passage would ensure that Louisiana's Department of Health website contains proactive information for birth parents about the benefits of adoption and guarantee that materials distributed to women in abortion facilities will also contain information on adoption. Have You Seen I Lived on Parker Avenue Yet? Have you seen the adoption documentary I Lived on Parker Avenue ? You can now see it for free from the comfort of your own home! The short film that documents the story of LSU law student David Scotton's trip to meet his biological parents was released free online last week following a red carpet premiere hosted by Gov. 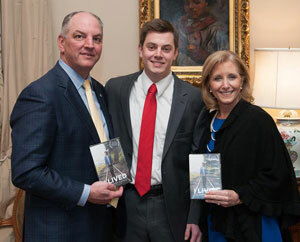 John Bel Edwards and First Lady Donna Edwards at the Governor's Mansion. It's not too late to sign up for the next PULSE Immersion Weekend, set for March 23-25 at BoCamb Farms in Covington. 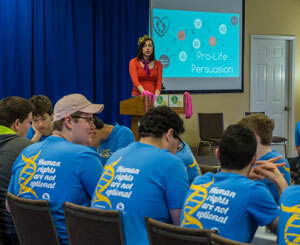 Students will visit the Northlake Crisis Pregnancy Center, sharpen pro-life knowledge and persuasion skills, discuss effective activism and other pro-life topics, and hang out with fellow passionate pro-life students from all over the state. Don't wait to register, as space is filling up! The 2018 Pro-Life Day at the Capitol is set for Wednesday, April 4. Pro-life agencies, including pregnancy resource centers, will have table displays set up in the Capitol Rotunda, and our main legislation for this session, the "Adoption Option Act," will be heard in the House Health and Welfare Committee that morning. We hope you will make plans to attend! Sign up to participate in the first Acadiana Life Fest 5K! Or just plan to attend the festival, set for April 21 in Lafayette. This will be a pro-life, family-friendly celebration that will include live music, food, booths, activities for children and more! Bring your friends and family to celebrate the Joie De Vivre! St. Elizabeth Foundation founder A. Hays Town Jr. will receive the Leadership for Life Award at the 2018 Bowties for Babies: A Southern Style Soiree for Life, on April 17 at the Capitol Park Museum in Baton Rouge. Have you gotten your tickets yet? There will be music, food, a silent auction and more! 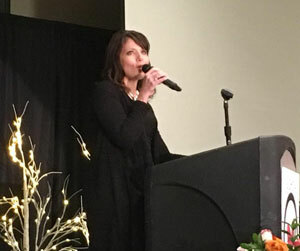 Congratulations to Life Choices pregnancy resource center of Ruston for an awesome banquet Tuesday night featuring abortion survivor Melissa Ohden. Brian Gunter, our Outreach Director, joined them for this successful event! See Photos of the Crowd! Want to be a part of Louisiana's pro-life movement? Want to get involved with Louisiana Right to Life? 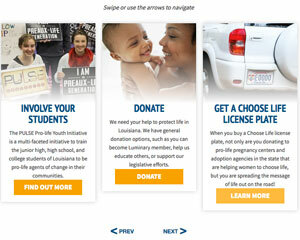 Check out the "Get Involved" section of our website and see the many ways you can help spread the pro-life message!